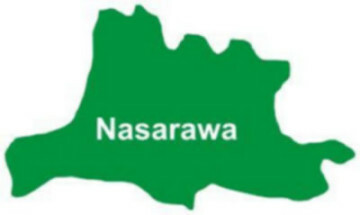 Nasarawa State Government said on Tuesday that it was partnering Prosports 442, a sport management company based in Chicago and United States of America (USA) to develop youth and sport development in the state. Alhaji Ibrahim Okposhi, the Permanent Secretary, Ministry of Youth and Sports Development, made this known while playing host to the officials of the Prosports 442 in Lafia. Okposhi said that the state government would partner individuals and organisations that promote youth and sport development in the state, considering the importance of sports to the development of the society. He said sports, being a valuable tool for national integration, play important role in ensuring safer, more prosperous and more peaceful society. The permanent secretary commended the organisation for the visit, adding that the partnership would go a long in not only promoting sporting activities but also promote peace and unity in the state and the country at large. “Gov. Tanko Al-Makura is a youth friendly governor and he is a lover of sports. He has done a lot in the area of sporting activities and other infrastructure facilities in the state. “The state government will continue to develop policies and programmes that would have direct bearing on the lives of youths and sports development,” he said. He called on youths in the state and Nigerians at large to be law abiding, respect constituted authorities, live in peace and tolerate one another. Earlier, Naomi Lucas-Oraka, the Country Manager of the organisation, said that the team was in Lafia to discuss on the way forward to promote youth and sports development in the state. According to her, sport is a unifying factor hence the need for the organisation to partner with the state government to achieve the goals of youth and sports development in the state. “We are here to partner with the state government in infrastructure development, educational empowerment, opportunities, capacity building for youth and to promote sport development in the state. “This is in view of the enormous benefits of sports to societal development,” she said. She also said that the organisation would partner with the state government in kits design and production and other facilities in order to develop sporting activities in the state. The News Agency of Nigeria (NAN) reports that the visit also featured displaying of football, basketball kits by the organisation among others.